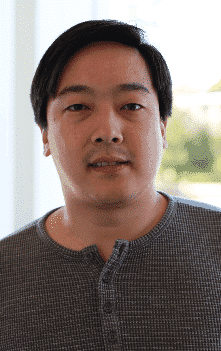 When Charlie Lee created Litecoin, the silver reflection of Bitcoin, he had only one thing in mind and that was to improve the resiliency of the whole cryptocurrency network. He wanted to express the value of an altcoin. He saw some vulnerability in the Bitcoin network, but because he didn’t have any authority, he couldn’t do anything about it. So, in an attempt to show the loopholes of the Bitcoin network, Lee created his own cryptocurrency along with a new set of developers to take the code in a new direction. At the recent MIT15 Bitcoin conference in Boston, Lee mentioned his purpose when inventing Litecoin. In his keynote address, he explained that Litecoin has a much larger limit of 84 million, which is four times the limit of Bitcoin. He believes this size differential plays an important role in terms of providing security to the network. And whenever Bitcoin market seems to be on a roll, Litecoin follows. The market statistics proves it. In the past month, Bitcoin’s market price increased by 20%, whereas Litecoin’s market price increased by 400%. Why is Litecoin immune to spam attacks? Lee gave a clear explanation about the superiority of his Litecoin network compared to Bitcoin network in terms of preventing the spam attacks. He used one of the txns that was spamming the network for the vindication. The spammer only had to pay 0.000299 BTC ($0.08) in order to create 34 economically unfeasible to redeem UTXOs. To mine this huge transaction for free, the spammer also needed a nice pool that allowed him to wipe up all these spammy UTXOs. The spammer used simple brain wallets in order to manipulate the pool and accomplish his cause. In normal cases where the addresses are random, they get stuck in the network forever. Lee mentioned his Litecoin is immune to this type of attack because of the fix that was patched on the network following similar attacks.